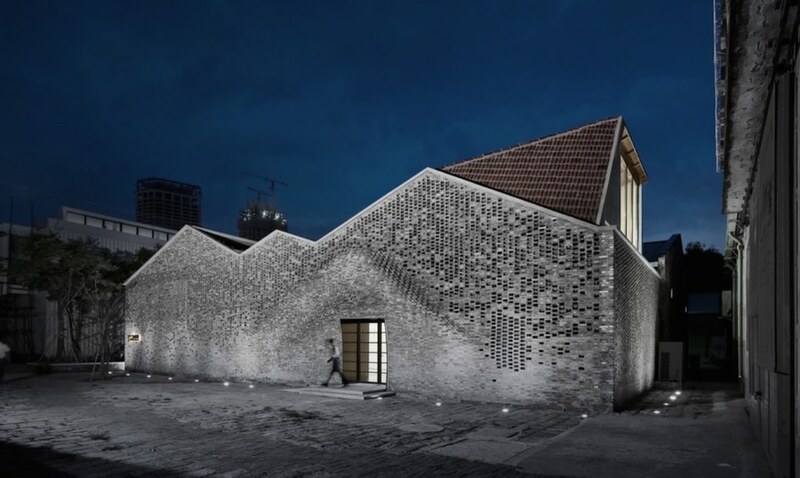 Archi-Union Architects have completed an unusual art exhibition space in Shanghai with the help of robots. 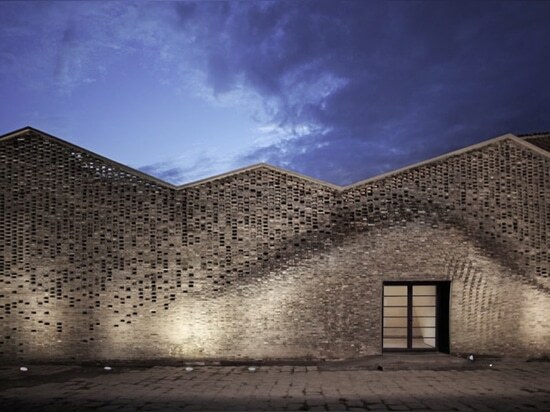 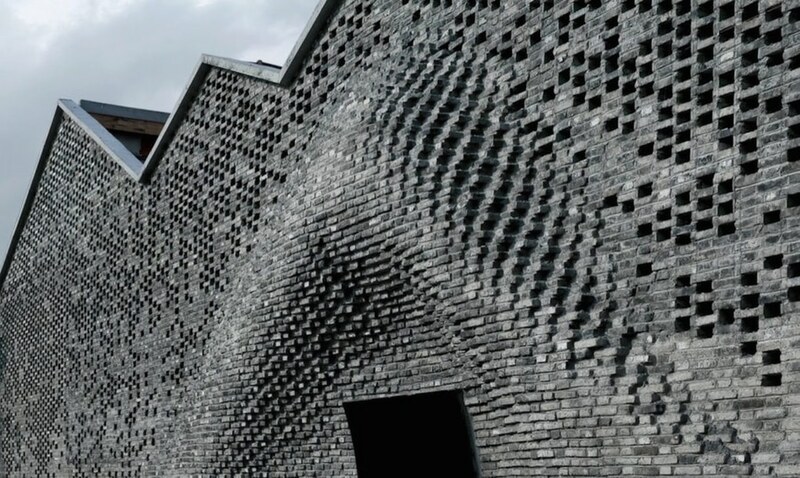 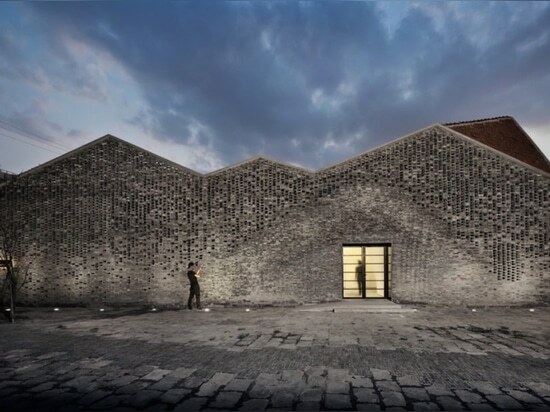 Created for the Chi She artist group, the building in the city’s Xuhui district was built with recycled gray-green bricks salvaged from a former building. 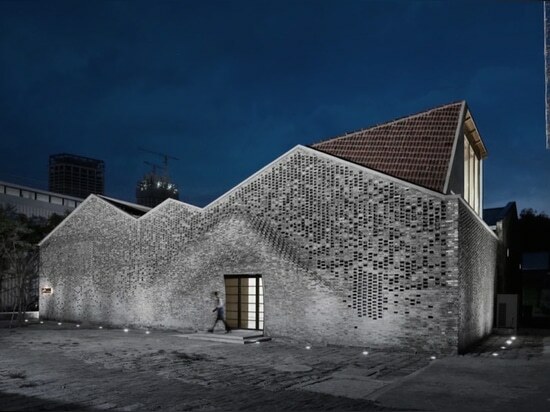 Designed with both traditional and contemporary elements, the Chi She exhibition space features an unusual protrusion made possible with advanced digital fabrication technology. 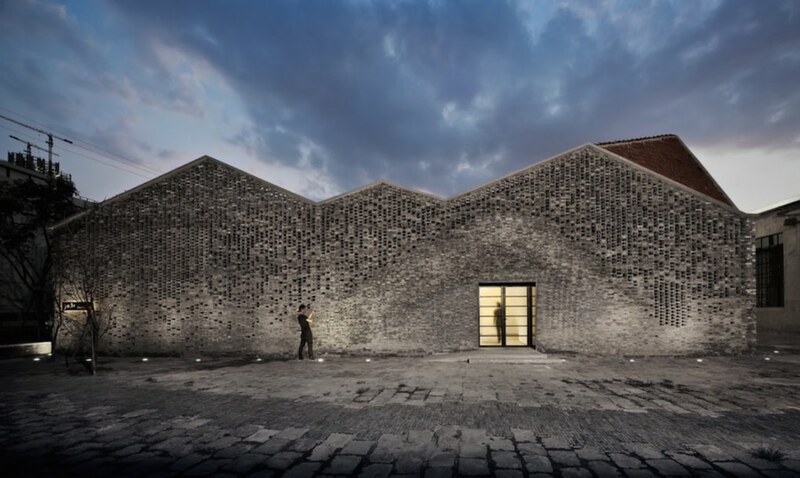 The 200-square-meter Chi She exhibition space was built to replace a former historic building, the materials of which were salvaged and reused in the new construction. 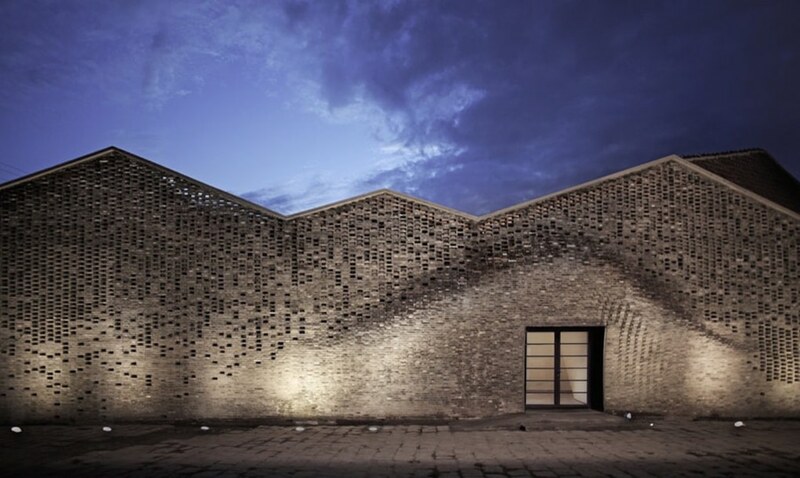 While the zigzagging roof has been raised and reconstructed from timber, the most eye-catching difference between the old and new buildings is the part of the wall above the entrance door that bulges out. 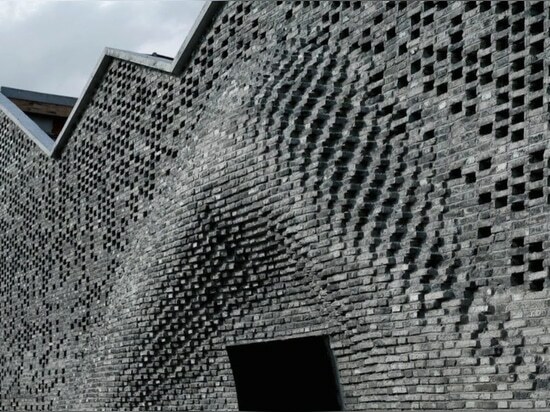 The architects used a robotic masonry fabrication technique developed by Fab-Union to create the curved wall, which would have been difficult to precisely achieve with traditional means.